Launchpad brings a new and very easy way to manage all apps downloaded from the MAC App Store. Just like apps are arranged on Apple iPad, MAC OSX Lion user can find similar grouping of apps under Launchpad screen. It provides one single interface to view installed Apps from MAC App store. You can quickly open any application from the Launchpad screen and also delete Apps that you no longer use. 1. On the dock look for Launchpad icon (resembling a rocket ready to launch with circular background). Click the Launchpad icon, the default screen will fade away and new screen will appear with listing of all Apps you have downloaded from MAC App Store. 2. With more Apps added, pages are created for easier access. Swipe across to view different pages with App icons. 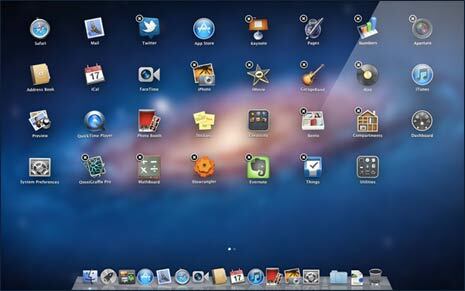 Click on any App icon to launch specific application on MAC OSX Lion system. Every downloaded App icon will appear in the Launchpad screen. If you access specific App often, you can favorite it by dragging the App icon from Launchpad screen to the dock on MAC OSX Lion. 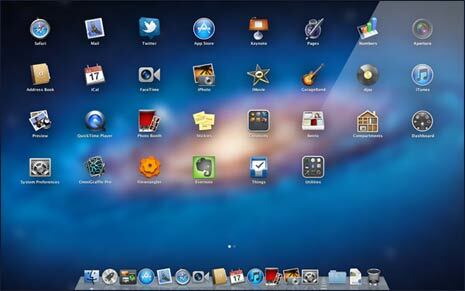 Not just arrangement of Apps on the dedicated screen – even procedure to delete Apps on iPad can be used to delete Apps from Launchpad screen quickly on MAC OSX Lion system. 1. Just hold down the App icon for few seconds till it starts jiggling (or dancing or vibrating) with X cross button. Only works for apps bought in the official app store – but Lion loads EVERYTHING it can find into the the launchpad – even sub-apps (such as uninstall icons for every single Adobe program) and apps you long deleted. These are the real problem in this half-baked feature.